If you are a fan of Superman, then you will love this Smallville Superman Jacket, which is inspired from the Smallville TV series. This Jacket is similar to the one worn by Tom Welling as Clark Kent. 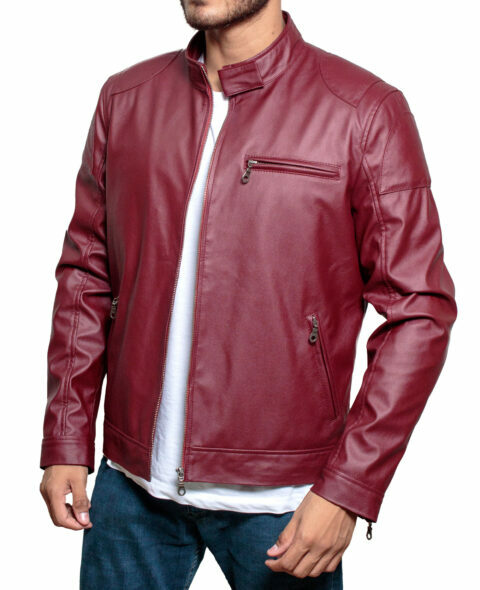 It is an exceptional jacket that will surely give you a sensational feel as the Superman. The Smallville Jacket is available in PU leather. There are two inner pockets with a smooth, shiny material known as viscose to absorb all your sweat. To add originality in the attire, the ‘S’ logo is embossed with perfection just like the character’s attire. Setting a style statement with superhero attire is now possible with this Smallville Superman Red & Black jacket.